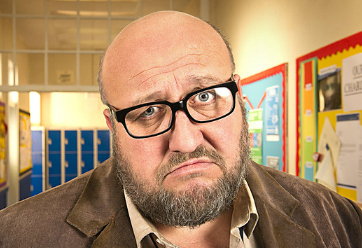 Big School, a new 6x30-minute series for BBC One set in a secondary school, is a comedy about a dysfunctional staff room, unrequited love and interactive white boards. 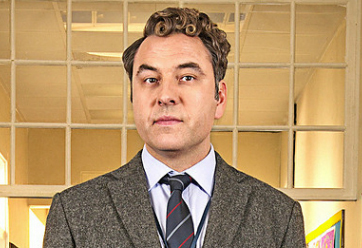 David Walliams (Little Britain, Come Fly With Me, Mr Stink) plays 40-something chemistry teacher Mr Church, who has taught at Greybridge School for years. Catherine Tate (The Catherine Tate Show, The Office USA, Doctor Who) plays the school’s enthusiastic new recruit, Miss Postern, who despite being a French teacher has never actually been to France. 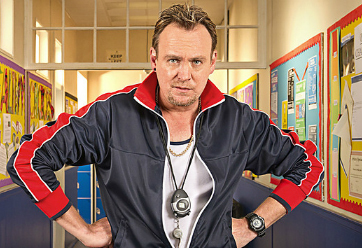 Philip Glenister (Life On Mars, Mad Dogs, Cranford) plays the lothario gym teacher Mr Gunn, whilst Frances de la Tour (Rising Damp, The History Boys, Harry Potter movies) will play Ms Baron, the no-nonsense, plain-speaking headmistress of Greybridge School. Joanna Scanlan (The Thick Of It, Getting On, Little Britain) plays Mrs Klebb, the nosey and interfering drama teacher, while Steve Speirs (Eragon, Extras, Cemetery Junction) plays Mr Barber, the pessimistic geography teacher who’s counting down the days until he can retire. Finally, Daniel Rigby (Eric & Ernie, Ideal, Black Mirror) plays Mr Martin, the mod-like music teacher who desperately wants to be mates with the kids and still clings to his dream of becoming a rock star. Anticipated to start the second week of August, on BBC One. Deputy Head of Chemistry Mr Church is about to resign from Greybridge School, but the arrival of Miss Postern the new French teacher changes everything. PE teacher Mr Gunn also has designs on the new member of staff so Mr Church takes advice from a pupil on how to succeed with women. Mr Church’s phone doesn’t send picture messages, so he can’t follow Manyou’s first suggestion. That just leaves the option of offering her a lift home. The course of true love never did run smooth, particularly in an Austin Maxi. Mr Church is played by David Walliams, Miss Postern is played by Catherine Tate, Mr Gunn is played by Philip Glenister and Manyou is played by Joivan Wade. It is talent show time at Greybridge School, but the teachers are doing the acts and the pupils are the judges. Mr Church is reluctant to enter until Miss Postern suggests he duet with her, but will artistic differences ruin their chances? Mr Gunn’s Keith Lemon impression is set to steal the show, until there are some unexpected late entries. 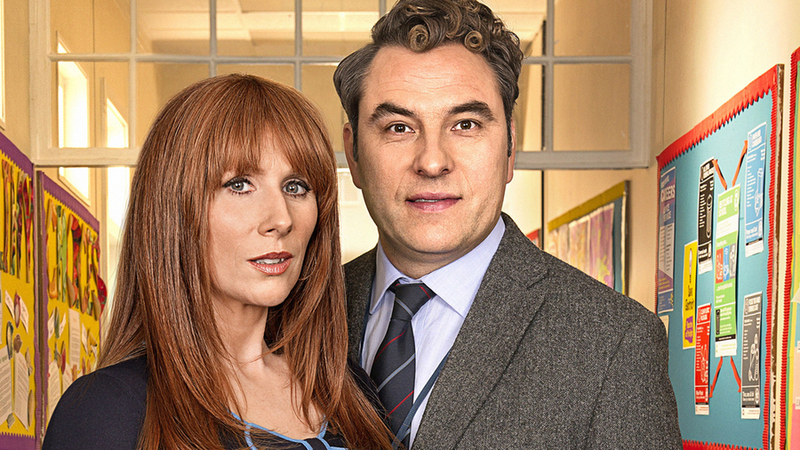 Mr Church is played by David Walliams, Miss Postern is played by Catherine Tate and Mr Gunn is played by Philip Glenister. Deputy Head of Science, Mr Church has been at Greybridge School for 15 years. Disillusioned with teaching, he is about to resign after a particularly dramatic experiment with liquid nitrogen and 1000 ping pong balls is met with apathy by his pupils. However, the arrival of new French teacher Miss Postern changes everything - and Mr Church’s resignation letter goes in the bin. He’s socially awkward, but the presence of Miss Postern brings out the romance in his soul. Perhaps a lift home is the way to her heart? The course of true love never did run smooth – particularly in an Austin Maxi. Greybridge School’s new French teacher Miss Postern has arrived to take up her post following the tragic death of her predecessor. She’s determined to make a difference in the classroom with new teaching methods – anyone for Vocab Tennis? Her guilty secret (revealed to Mr Church) is that she has never been to France. Sometimes she thinks, “To hell with it Sarah, jump on the ferry and go for the day!” As Mr Church says, she’s such a free spirit. 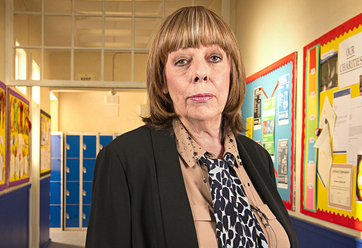 She certainly enjoys having the attention of so many of the other teachers – “I can’t help it if every male member of staff and one female member of staff finds me attractive”. PE teacher and would-be lothario Mr Gunn is also interested in the new French teacher - and most of the other female teachers in the school. The alpha male of the Greybridge staff room, which isn’t saying much, Mr Gunn lives in a world where Jeremy Clarkson is a revered philosopher and living with your mum despite being middle-aged is totally fine - “She does all the cooking, all the washing, all the cleaning. I’m living the dream.” Mr Gunn is determined to “plough” Miss Postern – probably on Friday night when his mum is at seniors’ zumba. Mrs Klebb’s life revolves around teaching drama and spending time with her partner Frieda (Mr Gunn: “When it comes to lesbians the internet is very misleading”). Mrs Klebb directs radical adaptations of the classics but drama’s not only what she teaches, it’s also what she likes being a part of in the staff room - “I’m not earwigging, I’m just toasting some gluten free bread”. In fifteen years of theatre reviewing for the school magazine Mr Church hasn’t written anything remotely pleasant about her work. ﻿Music teacher Mr Martin likes to liven up his music classes with some of his own compositions - “Mozart? Yawnsville. No beat.” Being a teacher is really just a stepping stone to becoming a singer-songwriter like his musical soulmate ‘Eddie’ Sheeran. But his guitar playing is rudimentary, his lyrics are hamfisted and his musical knowledge isn’t as good as you’d expect. ﻿Mr Church’s loyal lab assistant Pat never speaks, but her actions make it quite clear that Mr Church is the only man for her - “You can stop rubbing that test tube now Pat…” - even if her love for him remains unrequited. ﻿Elderly Head of Science Mr Hubble is frequently confused. As his superior, Mr Hubble is the one man standing between Mr Church and the position of department head. However, Mr Hubble’s not as sharp as he used to be and often walks into Mr Church’s class and starts taking the lesson as if they were his own, and occasionally mistakes Ms Baron’s office for the gents.